An exciting announcement was made at the Skagit Ag Summit this afternoon, that could change the face, and the marketing, of Skagit agriculture. During a presentation on Innovation, Port of Skagit Executive Director Patsy Martin spoke about enhancing the success of our local agricultural economy, by highlighting the high-quality agricultural products grown and produced within the Skagit Valley. Presenting alongside City of Mount Vernon Mayor Jill Boudreau and WSU Bread Lab Director Dr. Stephen Jones, Martin introduced “Genuine Skagit Valley” a Federal Certification Mark for Skagit agricultural products. This branding strategy was developed by members of the Innovation Partnership Zone (IPZ). The IPZ, made up of public and private entities and local farmers, focusses on value-added agriculture with the goal of creating new jobs and a robust economy centered on the valley’s rich agricultural resources and heritage. Martin explained that one of the goals of the IPZ is to encourage innovation to create a “terroir” brand that increases the recognition of and demand for Skagit products worldwide. “Terroir” is defined as the characteristic taste and flavor imparted to a product by the environment in which it is produced, including factors such as the soil, topography and climate—all factors that set Skagit agriculture apart from other growing regions. The IPZ team has developed and approved the regional identity and Federal Certification Mark for Skagit agricultural products that will help achieve these goals. The “Genuine Skagit Valley” Mark will be used to enhance the Skagit Valley’s agricultural region’s perception and reputation as a premier, preferred and distinctive origin brand, Martin explained. 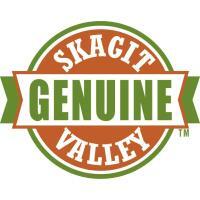 A list of criteria has been developed that growers and producers must meet in order to use the “Genuine Skagit Valley” Mark. Northwest Agriculture Business Center, under the leadership of David Bauermeister, will be leading the administration of the Federal Certification Mark. This Mark is an important component of the overall brand strategy for Skagit agriculture, to increase awareness and demand for the benefit of local farms, local businesses and our community. About IPZ: The IPZ was formed in 2013 and includes representatives from the Port of Skagit, Skagit Valley College, Skagit County, NW Agriculture Business Center, WSU NWREC, The Bread Lab, City of Mount Vernon, EDASC, NW Innovation Resource Center, and several local farmers, entrepreneurs, and partner organizations.